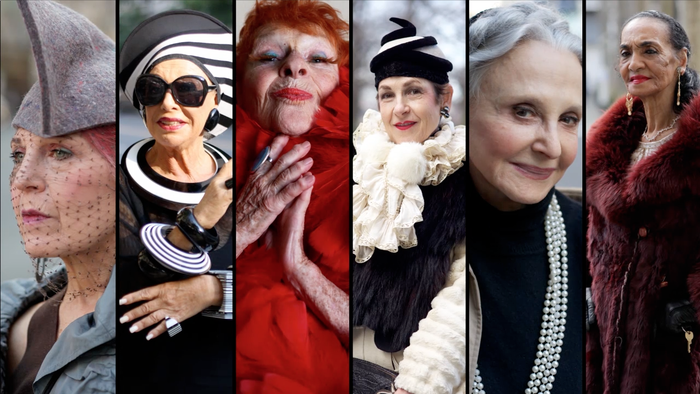 Last week I finally sat down to watch the delightful documentary Advanced Style. eyelashes, among her other charms. I think I was born happy - I was a 10 pound baby! Zelda Kaplan, who sadly passed away during the filming of the documentary. 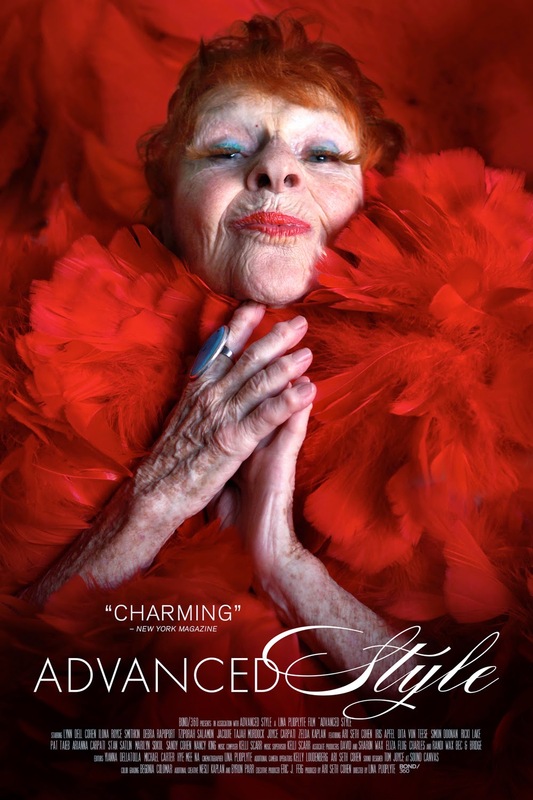 There is so much to love about this film - the fashion, the creativity, the personalities, the accents, the joie de vivre - but ultimately what I loved the most was the overarching message that age doesn't mean you lose your beauty, you become more beautiful because of it. A number of the women featured in the documentary have been hired for fashion campaigns - ranging from Kmart to Lanvin - and I hope these campaigns are not merely a trend, but a sign of the fashion industry becoming more inclusive with the types of people used in advertising campaigns. So what does this have to do with sustainability? 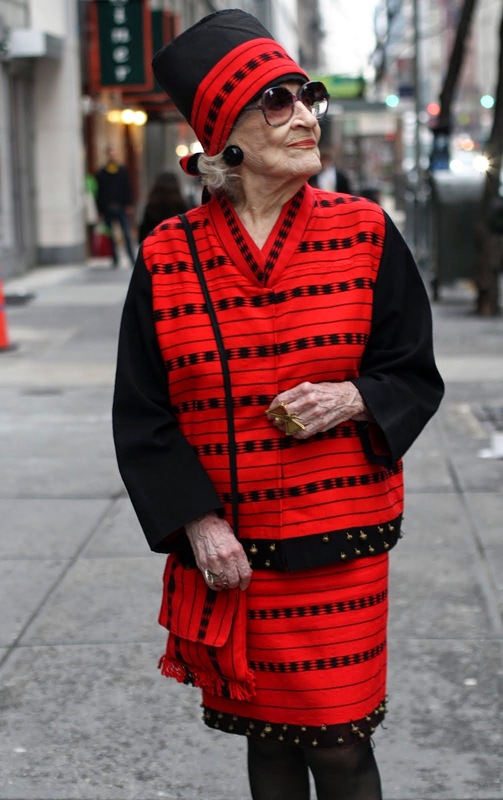 Well, what all these women know is that trends come and go, but good style is timeless - quality over quantity! Also, it's important to take care of your fashion pieces. 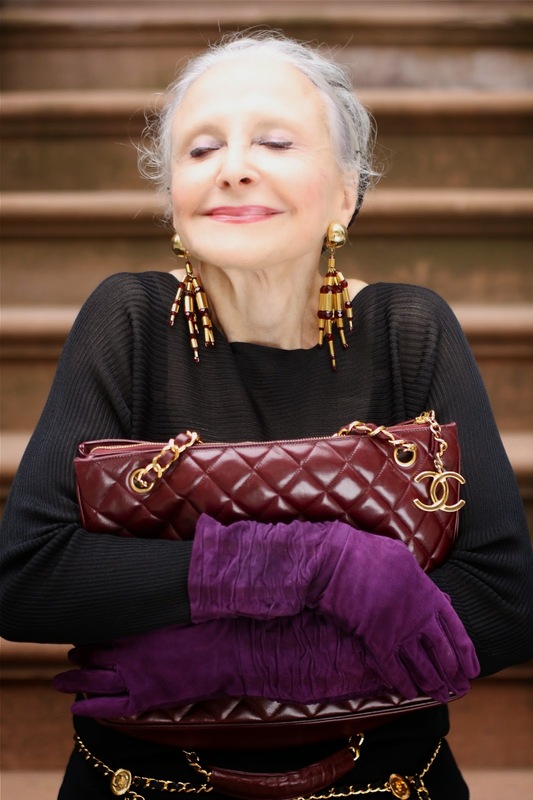 I loved seeing Joyce Carpati take out her beloved Chanel bags to show her granddaughter - the bags gently cared for over the decades and stored in protective cloth bags - and explaining that they will be hers one day. I also admired Joyce's overall elegance, her demeanor, and her hair is magnificent. 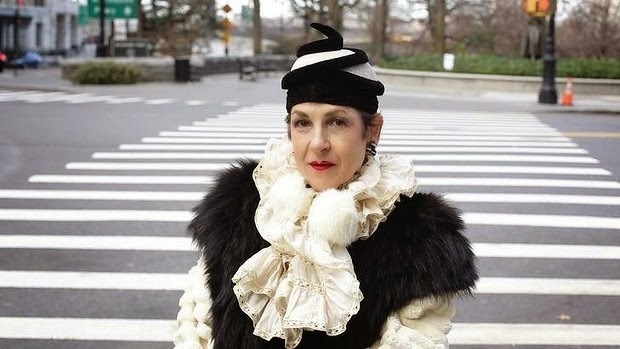 Tziporah Salamon spoke of the care that she puts into her clothing - both in terms of planning outfits (which may take up to 7 years to get just right!) as well as mending and handwashing to care for the clothes properly. 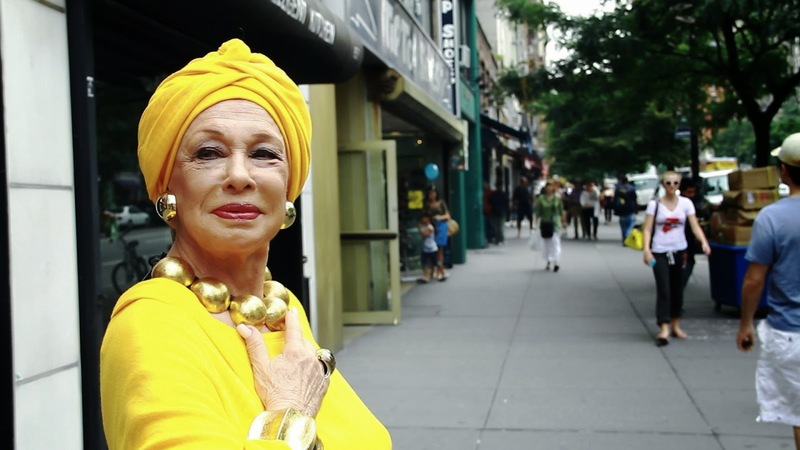 And it's not surprising that a number of these style mavens own or work in vintage clothing shops, like the vivacious Lynn Dell, who owns the Off-Broadway Boutique. 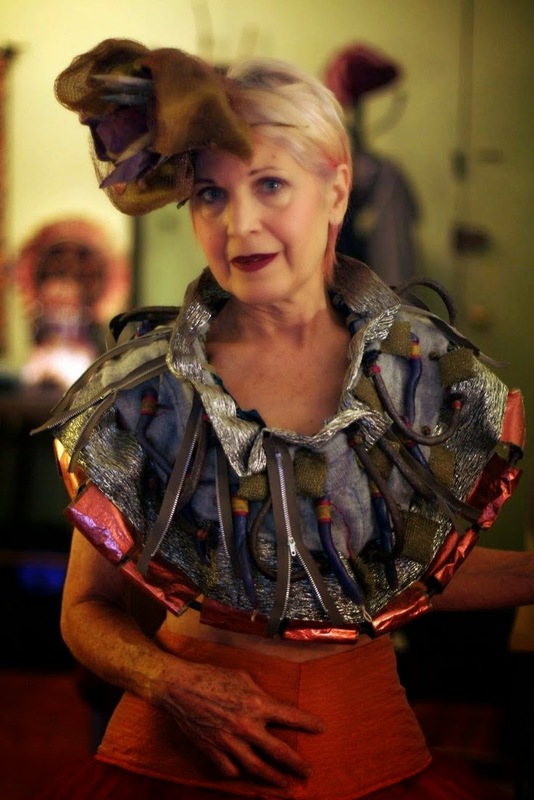 Debra Rapoport - who featured in the Kmart advertisement - also creates many fashion and jewellery pieces form recycled materials, including paper towel and toilet paper rolls (read this great interview on Recycled Fashion). Debra also shares my love of yoga, and her outfits are even louder than mine! So overall, a lot of lessons to learn from our stylish elders - take care of your clothes, take time to dress and express yourself, and life really does keep getting better with age (except the aching bones, of course). Have you seen Advanced Style? I'd love to know what you thought of it!